NJS SYSTEMS & CONTROLS is an industrial fluid power supplier with a distinct difference from all others. We have the fluid power knowledge and experience our customers have come to trust and rely on to help them maintain their automated industrial machinery. In addition, our OEM customers depend on us to provide them with the latest fluid power components. WE ARE COMMITTED to providing our customers with unequaled products and services best suited for their unique pneumatic and hydraulic applications. We accomplish this by supplying them the exact brand of manufactured item that is required for their specific equipment. Most importantly, we have the knowledge and technical expertise to understand what will and will not work on today’s industrial automated machinery. WE HAVE A UNIQUE ABILITY to assist our customers in the development of new equipment, or help with modifications to existing machinery. We have the design and fabrication skills to be a turn-key supplier for all your industrial machinery needs. 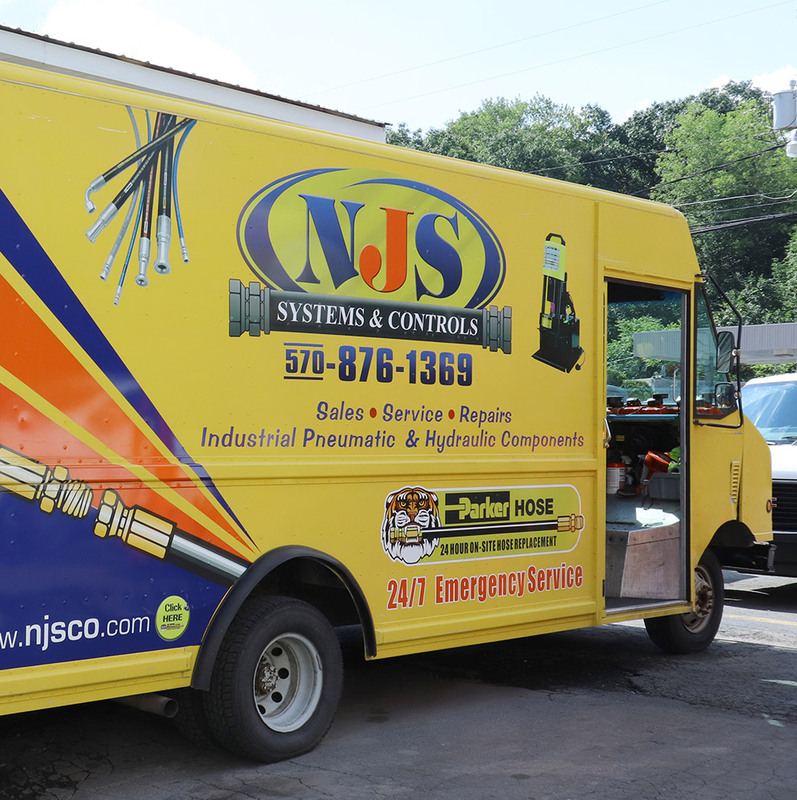 WE HAVE THE MOBILITY Our 24/7 fully equipped service trucks and trained staff are available for field service repairs, large installations or upgrades, troubleshooting, or general maintenance of your hydraulic and pneumatic equipment.